God is asking you this morning, “What do you see?” Good or bad? 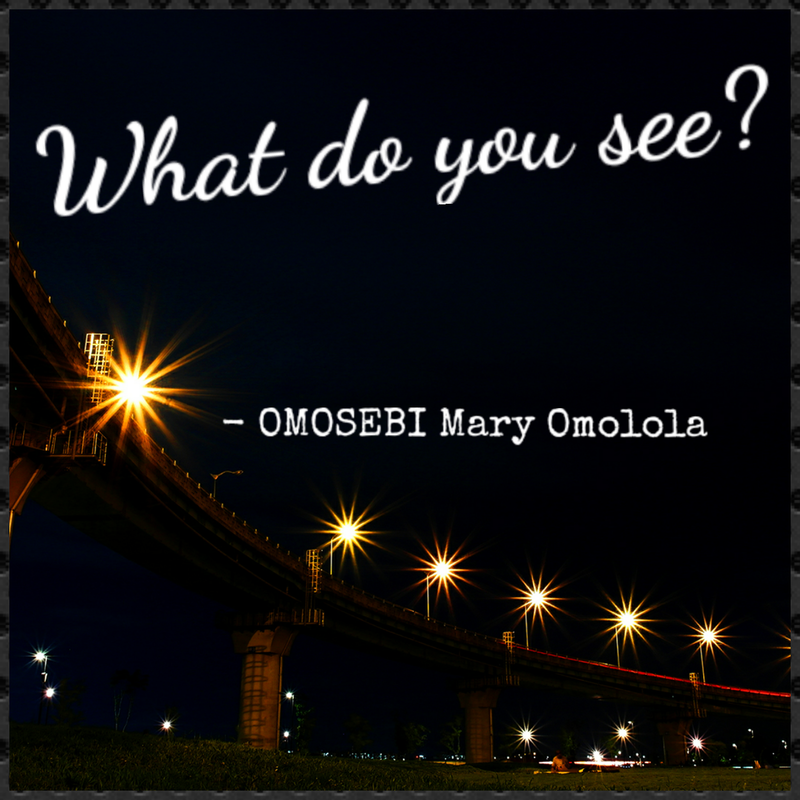 What do you see in this new year? What do you see God doing your life in the new year? What promises do you see fulfilled in the year? What achievements do you see God enabling you to achieve in the year? What changes do you see? WHAT DO YOU SEE? Yes, the Word of God is sharper than any two-edged sword. Let it pierce you soul. Let it cleanse you and wash your eyes clean. Be washed by the water of the word. Let the Word wash you from every sin so you can see God. For without holiness, no man shall see the Lord. The Word! It is like fire. Let it purge you. Let it remove every dross from you. When gold has passed through fire, what happens to it? It becomes purer and it shines. You can see yourself in it. Let the Word break in pieces every habit that needs to be broken. Praise God with all your heart. Praise Him for what He’s done. Praise Him for what you see Him doing in you! Praise Him continually. Your spirit gets charged when you praise God. Remember the keys: The Word and Praise. I see everything working together for your good. I see you living in health. I see you being promoted. I see you carrying your own baby(ies). I see God fighting for you. I see you breaking new and fertile grounds. I see you living in abundance. I see you marching on in victory. I see you birthing age-long dreams. I see you having a beautiful relationship with God! I see you fulfilling purpose. I see your path shining brighter. I see you being a wonder to many. I see your joy being restored. I see The Lord rebuilding your ruins. I see God mending the cracks in your home. I see your children being for signs and wonders. I see them being deeply rooted in the will of God. I see you rejoicing over all that’s yours. I see great and mighty testimonies hatching. I see everything turning around for your good. I see God visiting you with His mercy and favour. I see God watching over His Word to perform it.